Hi! 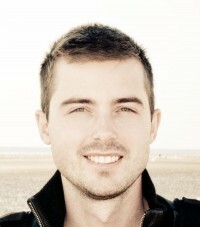 My name is Romain DECKER, the author of cloudmaniac.net. I have 15+ years of experience in IT, focusing on virtualization, network and storage. I’m currently employed as a Senior Solutions Architect at VMware within VMware Professional Service Engineering team. I’m also a member of the CTO Ambassador Program at VMware. 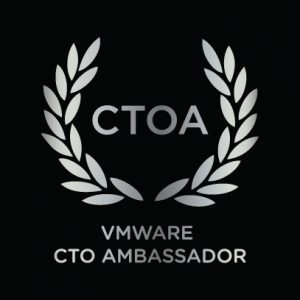 The CTO Ambassador Program is run by the VMware Office of the CTO. The CTO Ambassadors are members of a small group of VMware customer facing, individual contributors. They are selected amongst the most experienced and talented members of VMware Field, like Systems Engineers, PSO Consultants and Architects, TAMs and GSS engineers. The ambassadors help to ensure a tight collaboration between R&D and our customers so that we can address current customer issues and future needs as effectively as possible. As a result, they have a unique perspective on VMware’s strategy, technologies, products and customers. My biggest interests are in virtualization, cloud-native applications and cloud computing. When I’m not working, blogging, or spending time with my wonderful & lovely wife and my 2 sons, I do a lot of homelab to renew my technological background constantly. I’m completely fascinated by how different technologies can interact together, and I always keep an eye on emerging technologies to be able to suggest innovative solutions. I hold numerous industry certifications including VCDX-DCV (VMware Certified Design Expert for Data Center Virtualization) and VCDX-NV (VMware Certified Design Expert for Network Virtualization); my VCDX number is #120. You can find me among my peers on the official directory: Meet the VMware Certified Design Experts. I’m also a VMware vExpert 2019 & 2018 & 2017 & 2016 & 2015 & 2014 and a vExpert NSX which rewards my commitment to the community. Specialties: Virtualization, Private & Public Clouds, SDDC, Kubernetes, Disaster Recovery & Business Continuity, Datacenter, Network, Storage, Converged Infrastructures, VMware (NSX, vSphere, vRealize, etc. ), Docker, Openstack, Hardware (Cisco UCS, HP Virtual Connect FlexFabric, IBM BladeCenter & xSeries). If you are looking for updated information about my career or my professional skills, please visit my LinkedIn profile. 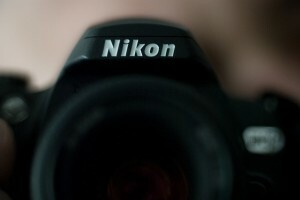 From a personal perspective, I have a passion for photography: if you’re interested or just curious, you can check some of my photos on my 500px account. You can subscribe to my blog either via RSS, by email using the form in the footer or via this page: how-to subscribe to cloudmaniac.net ? Disclaimer: the views expressed on this site are my own, and don’t reflect the views or opinions of VMware.